It was right at the „golden age“ of digital intermediate, when we started our digital film restoration cooperation between the Austrian Film Museum, The Austrian Film Archive and the Austrian Film Gallery. Digital intermediate (DI) is called the process where Films get shot on analogue film, then they are scanned and processed digitally (editing, visual fx if any and color graded). At that time the output was mainly done on analogue film as well as this was the standard means of distribution. Starting with “O brother where art thou”? (the first feature that was done fully in the DI process it has gone a long way since. Scanning the film negative for future post production as well as for dailies and at the other end printing copies of the films for cinema releases turned into a straightforward process. Machines got better and faster as time was always money. shrinkage: due to storage and external influences a lot of material is shrunk, which implies the need of more flexible options in scanning than the standardized formats of 35 mm and 16mm film transport: a lot of films are in bad condition, not being able to endure the tension and speed of a modern polyester film negative scan. Also there was a need for another sprocket less film transport (without using a registration pin and the holes in the film perforation). High densities: there are a lot of films, where only a final print and no camera negative is left. Especially with old nitrate films densities are way higher than with modern camera negative material. The additional light needed might result in flares (by scattered light) and noise produced by the sensor in high light levels. On the other end (printing digital data to film) not much has change, it´s pretty much the same procedure as as in DI. We decided to work with Arri, a German based company that is the world leader in this market and famous for it´s quality Camera and light systems as well as for their film scanners and lasers, as they were open to the needs of film archives and they were searching for new markets in order to sell their machines. They were able to tackle the issues mentioned above and we were the first archive to test their new wetgate scanner, where we used a liquid called Kodika instead of Perchlorethylen. It has similar properties than Perchlorethylen and is a little less harmful (though tricky as well). It seemed like this could be a proper method of restoring for a long time, but it was the fast development of the digital area that started to change the whole game once again. The development went really fast that digital cameras are quite on the same level as film in combination with the Di process. Also distribution of film went mostly digital within few years. As a result of that a lot of Film labs had to close and i´m sure there are a lot to follow that example, because the vast majority of shooting on film and showing analogue copies in the cinemas have gone digital. Another result of that development is that the producers of actual film stock, mainly Kodak and Fuji were struggling and already stopped part of their production of film material and it maybe a question of time how long they can keep up doing that. Analog film is still the best medium for long term storage: you simply keep it in cold and half dry conditions and it will last for decades. Preserving digital material is a completely different matter. At the moment an established way of preservation of digital data is the LTO standard, which changes roughly every two to three years and is only compatible backwards for 2 generations, after that you won´t be able to read the tapes, which simply means you have to migrate your files on a regular bases. Needless to say that most of the archives do not have the equipment yet to digitize the vast quantity of their material, even less they are able to build up a structure that could handle the digital acquisition, backup as well as regular migration. Last but not least it´s also a matter of where you will be able to project analogue film. 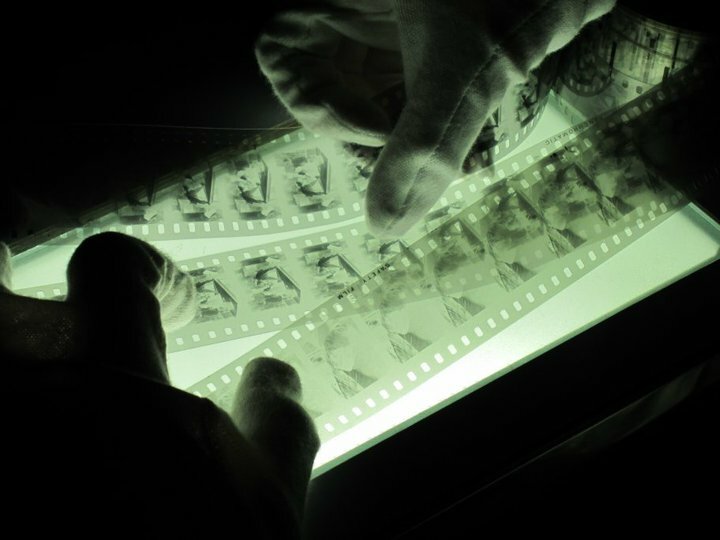 I´m sure there will be several art house cinemas and places like the Austrian Film Museum that dedicate themselves to project analogue prints, where they were meant to be projected that way, but most of the cinemas made a change to digital an won´t look back. In the end it will come down to the question how long can the chain of analogue film be supported from cameras, labs, film stock, scanning equipment, film printers as well as projectors. I guess it will be a similar development as with Polaroid, vinyl records or even Lomo, where archives and analogue film enthusiast will maintain analogue film to whatever it costs. I already see it happening with places like filmkoopwien.blogspot.co.at/ and www.saalbau.at/index_intro.html in Austria alone, La Camera Ottica of Gorizia http://labcinema.uniud.it/ as well as with commercial film labs that are convinced to stay even if the big markets will have gone and they will try serve the rest of the share that remains as long as they can sustain themselves. What do you think about the future of analogue film in a digital era?